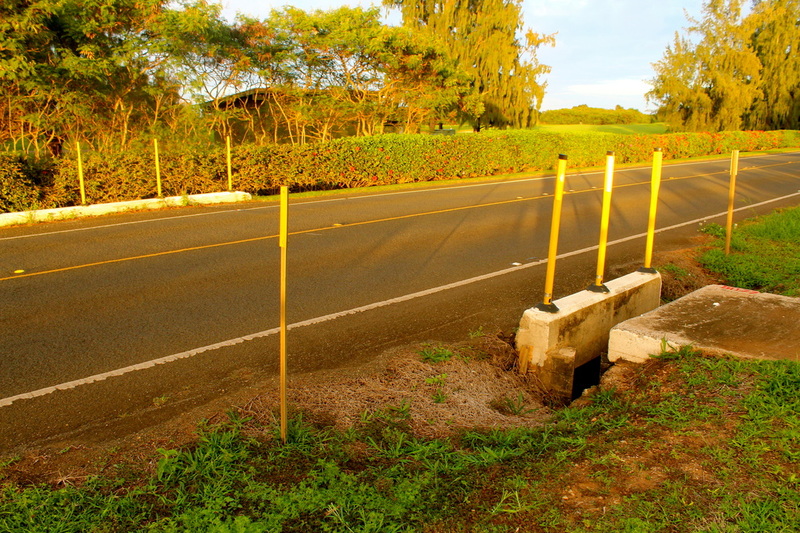 Water from streams was diverted through ʻauwai [ditches] for taro patches. In western style agriculture, water was used for one crop in one place. The genius of Hawaiian use of water in wetland taro systems was that water was typically converted back to the stream in order to ensure that the natural cycle of water was not disturbed. Identified waterway near Kalaeokahipa. Photo by Estrella 2014. Observation of stream bed near Kalaeokahipa. Photo by Estrella, 2014. Observation of second and smaller stream bed near Kalaeokahipa. Photo by Estrella, 2014. 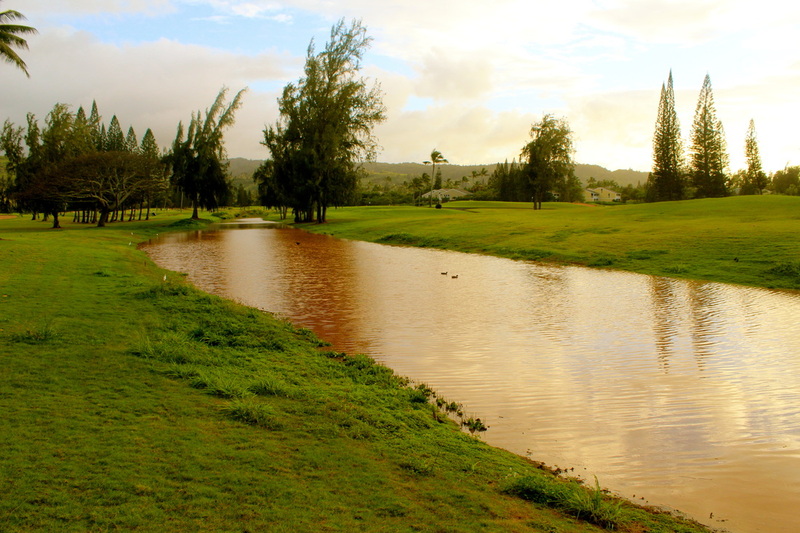 There are two main streams within Kahuku. Kahuku Stream is the low land waterway while Kaohiaae Stream, which is the upland waterway and a branch of Kahuku Stream. Most reports of loʻi kalo were in low land areas. Identified waterway near Kuilima Golf course. Photo by Estrella, 2014. 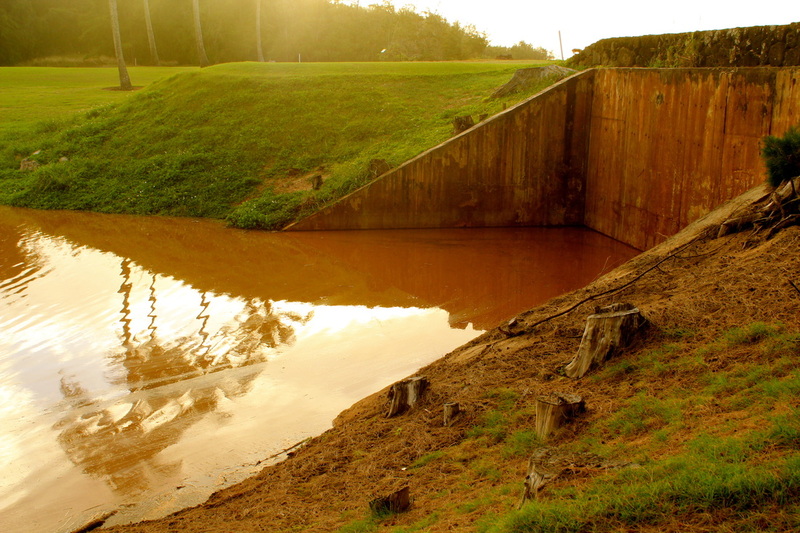 Observed water feature within golf course at Kuilima. Photo by Estrella, 2014. Stoppage of water feature within golf course. Possible natural entry point of water feature into ocean. Photo by Estrella, 2014. Punawai [freshwater springs] are often linked to stories of gods who appear and create water sources for personal and population needs. These are sometimes fed by underground sources of fresh water. 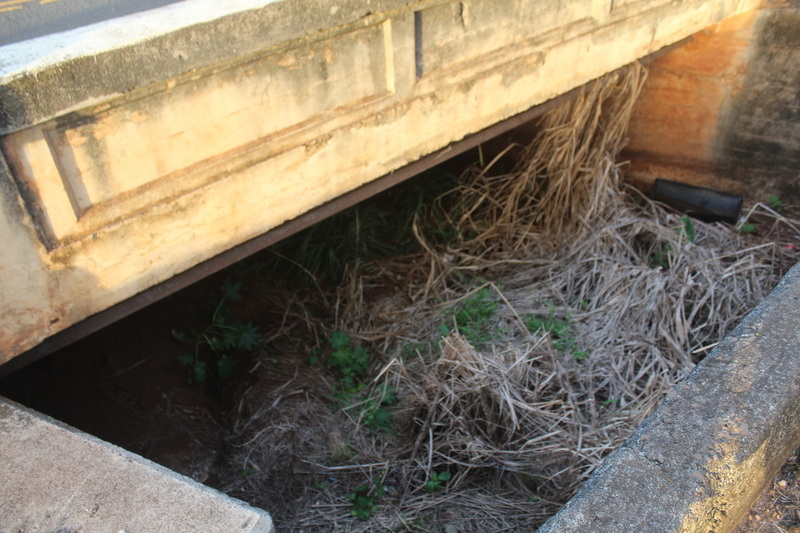 There are four commonly referred to springs identified within the histories of Kahuku. Though there are many more springs, due to the abundance of water in the area, only these four are mentioned in moʻolelo and are known to have large settlements nearby. Landscape view of Punamanō area. Photo by Estrella, 2014. Kiʻi bridge and identified waterway near entrance to Kahuku on the Hauʻula side. Photo by Estrella, 2014. 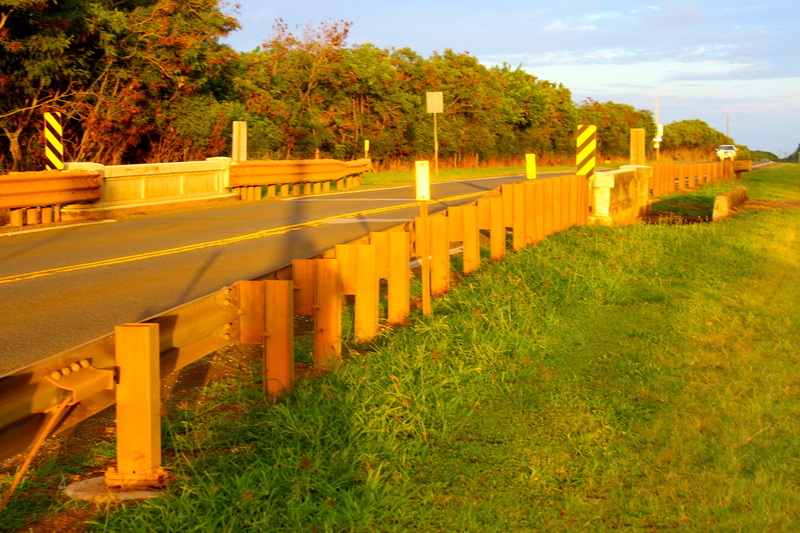 Observation of waterway at Kiʻi bridge, Hauʻula side of Kahuku. Photo by Estrella, 2014. Handy, The Hawaiian Planter, 88. Editorial, “For Kahuku and Beyond”, Hawaiian Annual, 1911, 131.